The origins of acupuncture in China can be traced back at least 2000 years, making it one of the oldest and most long-standing health care systems in world. Today, acupuncture is effective, natural and increasingly popular form of health care that is being used by people from a wide range of cultural and social backgrounds. Acupuncture takes a holistic approach to understanding normal function and disease processes and focuses as much on the prevention of illness as on the treatment. 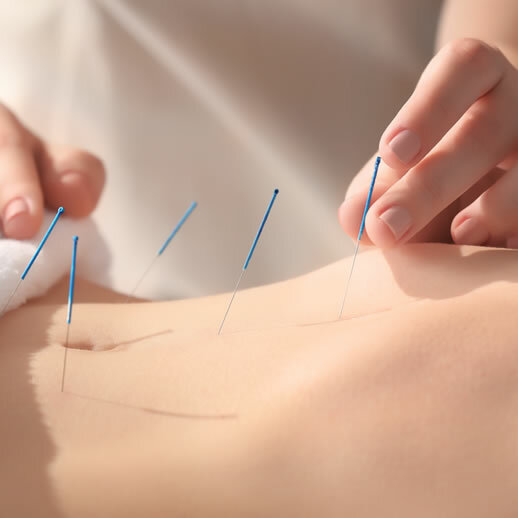 Acupuncture is the procedure of inserting and manipulating needles into various points on the body to relieve pain or for therapeutic purposes. It is based on the belief that living beings have a vital energy, called "qi", that circulates through twelve invisible energy lines known as meridians on the body. Each meridian is associated with a different organ system. There are over 1,000 acupuncture points on the body. Acupuncture is available in selected stores by appointment only.